Cholesterol has become so confusing. The reality is, most of us have little understanding about the cholesterol levels in our blood and the whole topic is much more complicated than we previously thought. Many people still believe that eating cholesterol and fat, especially saturated fat, causes heart attacks and that taking statin drugs provides a powerful way to reduce your risk of heart attacks. But is this really true? 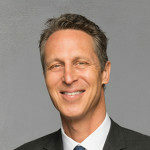 My guest on this week’s episode of The Doctor’s Farmacy is here to bust the cholesterol myth, and he is a cardiologist! Described as an inspiration by Jamie Oliver, internationally renowned Consultant Cardiologist and best-selling author of The Pioppi Diet, Dr. Aseem Malhotra has become one of the most influential and well-known health campaigners, and a pioneer of the lifestyle medicine movement in the UK. Today, Dr. Malhotra and I discuss what it means to eat a truly heart-healthy diet, and we dissect the importance of cholesterol when it comes to our health. For so long we were told that having low LDL is the key to preventing heart disease, which led to doctors overprescribing statins to keep LDL low. Yet these drugs can introduce a whole host of problems including muscle damage, memory issues, Parkinson’s-like symptoms, and muscle aches and pains. We now know that statins can increase the risk of diabetes by about 50 percent. Even more concerning, is that statins don’t even work that well for preventing heart attacks, despite all the media hype and your doctor’s advice. You have to treat 50 people with statins to prevent 1 heart attack or treat 890 people to prevent 1 death. That means 889 people are taking statins with no benefit. That’s not to say that statins are useless. Statins can be lifesaving in some situations, but why aren’t physicians focusing on lifestyle and lowering inflammation? These are far more powerful tactics when it comes to prevention. This is precisely what we talk about in today’s episode. If you or anyone you know is concerned about heart health, you won’t want to miss today’s episode with Dr. Aseem Malhotra.